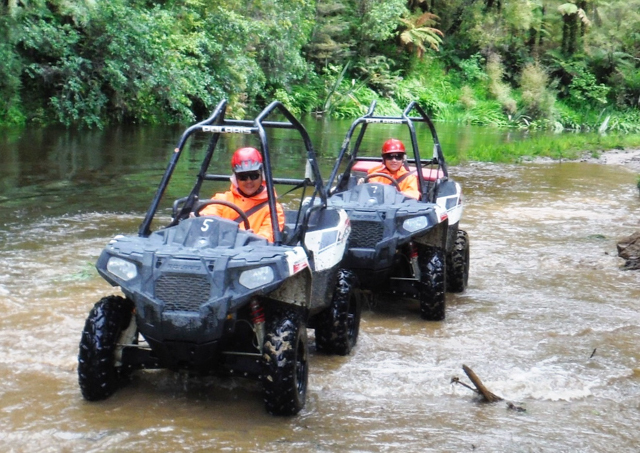 Book an action packed off road West Coast Adventure today with ‘On Yer Bike’, located just 5km north of Greymouth in this stunning region of the South Island. 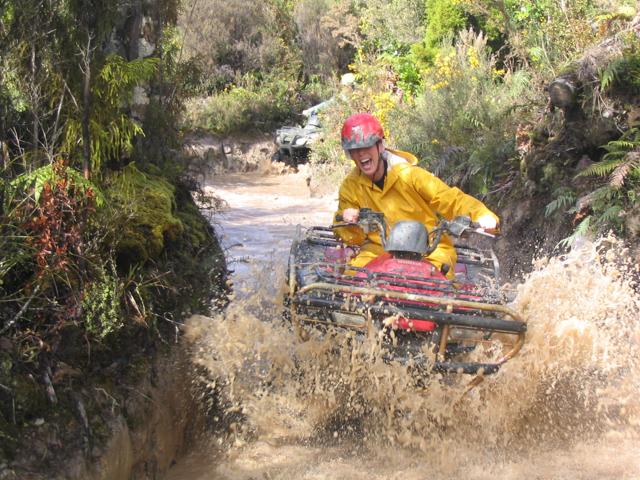 Offering amazing adventure tours that include Quad Bike Tours, Go Kart Tours, Hagglund and 8WD Argo Tours. 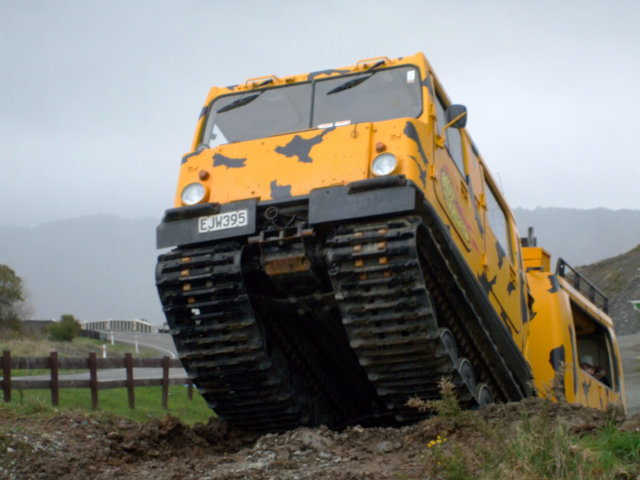 Explore The ‘Enchanted Forest’, the ‘Bush ‘n’ Bog Track’ and ‘Mikes Mighty Mud Track’, if you want to stay clean and dry the ‘Hagglund’ gets down and dirty for you or our amphibious ‘8WD Argo’ will give you a fantastic journey in and out of the water. The ‘Enchanted Forest Track’ is a 1 hour adventure that goes deep into the forest and whichever mode of transport you choose this is an awesome family adventure led by expert guides. 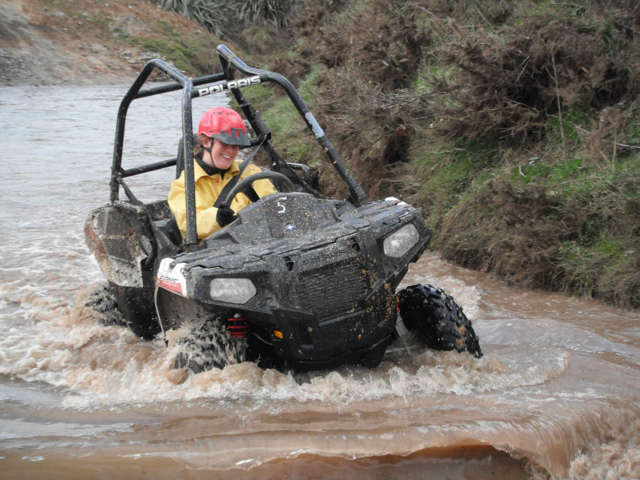 After some sound advice you are off on your own quad to tackle the hills, puddles and rainforest tracks and our mud-loving buggies will give you a satisfying taste of real off roading. The ‘Bush ‘n’ Bog Track’ is a 2 hour adventure combining adventure with stunning ‘West Coast’ scenery as it ventures into the heart of Greymouth’s native forest. Navigate your Quad Bike or Go Kart through rivers, lots and lots of mud, puddles that resemble small lakes while also enjoying magnificent valley tours. ‘Mikes Mighty Mud Track’ offers an extreme ‘grade 5’ off road adventure and we invite those who possess the thrill seeking gene to accept the challenge of the muddiest, wettest and most challenging of all our tracks. We will take you on an adrenaline-pumping mud adventure on the stickiest, steepest and sloppiest bits. 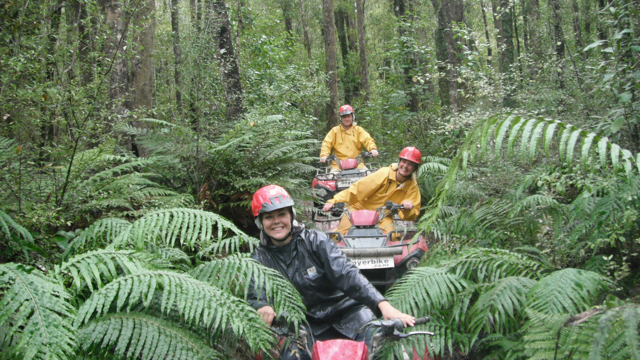 Our awesome tracks are spread out over 250 acres of privately owned and operated farm and native West Coast New Zealand rainforest. No formed roads here, just 16km pure off-road enjoyment.